December 15, 2016 By JRL, Esq. When individuals rely on certain government programs for their health and overall quality of life, they do not what to lose that critical assistance. Often the assistance from such programs can be jeopardized by suddenly receiving a significant amount of cash from a personal injury settlement or an inheritance, for example. Often a properly drafted special needs trust can be used to preserve the government benefits. But it is often the case where the amount of funds received is small enough to not justify the use of a trust. There will soon be another option for smaller amounts of money. A couple of years ago Congress passed the “ABLE Act of 2014,” allowing states to enact their own programs for those with disabilities to create an account for paying qualified disability expenses without losing other assistance. To qualify, the disability must have arisen before the individual’s 26th birthday. The Act’s purpose is to help individual’s and their families with saving funds to assist the disabled person with maintaining independence, health and overall quality of life. 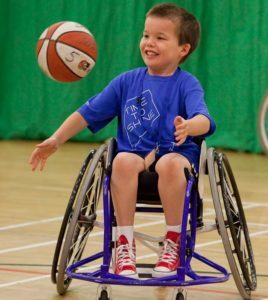 As defined, qualifying disability expenses are those expenses which further these purposes for the disabled person. In order to not be counted for federal programs that require means-testing, such as Medicaid or SSI (supplemental security income), the ABLE account balance must be under $100,000. Anything over that amount will be counted for program qualification purposes. And for programs such as SSI, you are only allowed up to $2,000 in a bank account, for example, without losing needed financial assistance. This limited hasn’t been adjusted since 1989 and severely limits one’s ability to live independently. It should be noted that a disabled individual may only have one ABLE account and total annual contributions to the account may not exceed the then annual gift tax exclusion. The gift tax exclusion for 2016 is $14,000. There is also a lifetime cap on contributions which is equal to the limit placed on 529 college savings accounts by the state. Nevada’s 529 lifetime limit is currently $370,000. In 2015, Nevada joined a few other states in establishing ABLE accounts by passing SB 419. The new state statute requires the State Treasurer for Nevada to cooperate with the Dep’t of Health and Human Services to get the Nevada ABLE Savings Program up and running. The state plans to have the program operating by the end of the first quarter of 2017. Even though the ABLE Act doesn’t, and in reality couldn’t, address all of the concerns of disabled persons regarding their health and independence, passage of the act is certainly a step in the right direction.